When it comes to makeup, winter usually means a heavier coverage foundation, but I feel like a formula which is too heavy can look, and feel quite ageing, so I’m clinging to my Glossier skin tint for as long as possible. Since it has the coverage of pretty much water (in a good way) I’ve been finding ways to keep my skin as clear as possible. 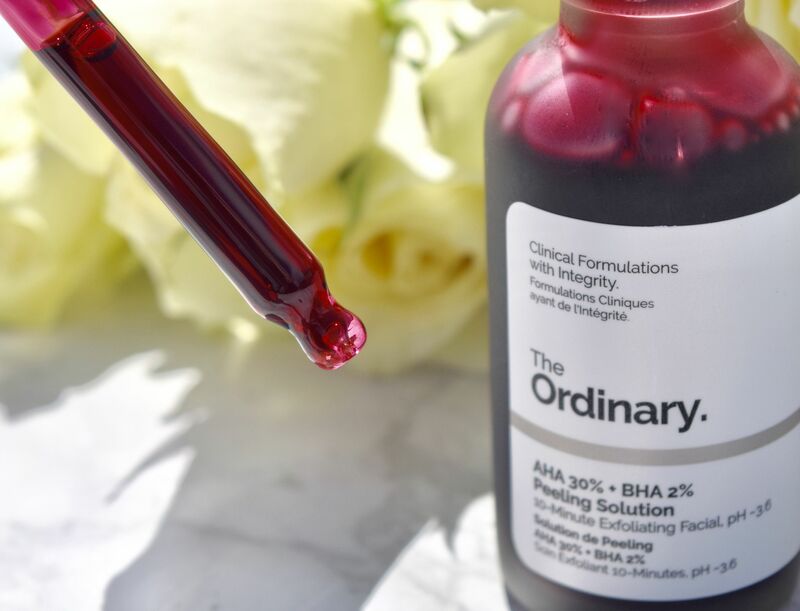 To combat any weather-related dry skin, I’ve been turning to The Ordinary AHA 30% + BHA 2% Peeling Solution for a once per week treatment. 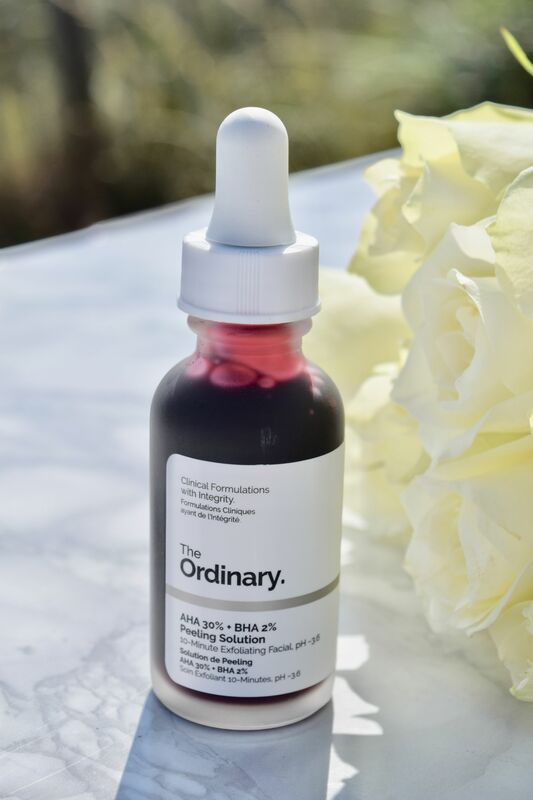 Incredibly affordable, and dramatic to use (you’ll look like an extra from a horror film) the Peeling Solution is the easiest cheat to smooth, glowing skin. After a thorough cleanse, I pat my skin dry, and then apply a few drops of the solution to my face, neck and chest, and gently rub it in. The formula is a bright, cherry red, so it’s easy to see where you’re applying, and within a few seconds you’ll feel it too. The Peeling Solution is one of those products you definitely feel working – it tingles to the point of stinging, and I usually have to distract myself for a minute or two, until it dies down. 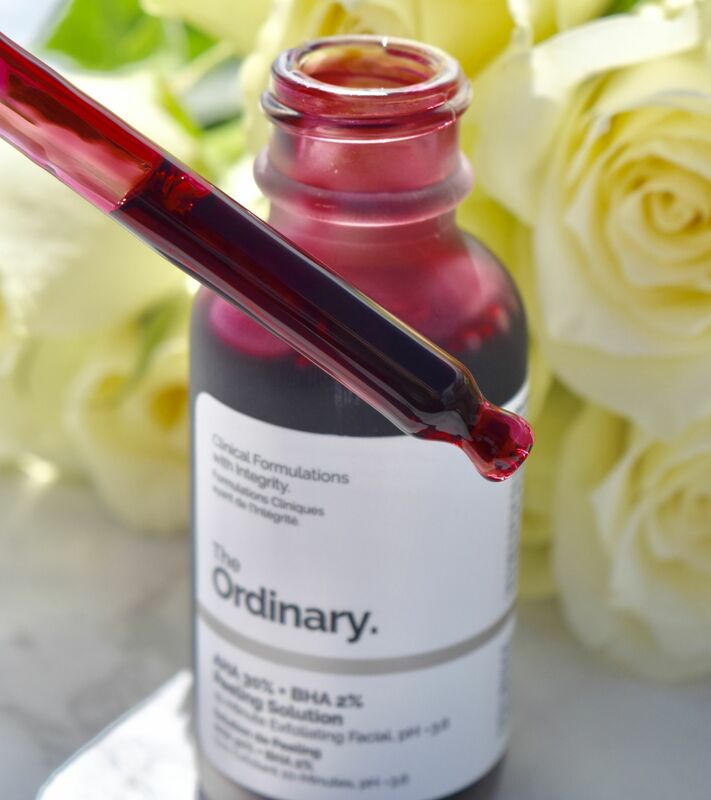 The Ordinary warn not to leave it on skin for more than ten minutes – after which I like to wash it wall off with a tepid damp flannel. The difference in skin after using the product is dramatic – skin feels ridiculously soft and velvety smooth, and the Solution somehow eradicates every little bump you want to get rid off. Afterwards, I smooth on a generous whack of moisturiser and head to bed.